When you have a smile that’s plagued with discoloration, whether it be from foods and beverages or aging, it can really influence your self-confidence. You may be less inclined to smile, even if you’re truly happy or excited about something when talking with other people. This constant worry of being judged by those around you just because you have imperfect teeth can be detrimental to your daily life. In contrast, imagine a life where you’re able to smile with confidence because you’re proud of how it looks. People who smile often are typically considered more confident and by proxy, more trustworthy to their peers and to strangers. If you’re looking to stand out at your workplace, especially if you have a job that relies on your appearance, teeth whitening can make it easier for you to have the self-confidence needed for better success. When people say that smiling is contagious, they probably don’t know that it’s backed up by science! Evidence provided by social psychologists shows that people carry a natural instinct to mimic other people’s facial expressions, allowing them to better empathize with others. That means the more often you smile, the more likely you are to transfer those emotions to others. Smiling has also been shown to increase dopamine, endorphins and serotonin levels in the brain, all chemicals that help you relax and feel good throughout the day. Feeling good about yourself and having a more positive outlook overall are sure to improve your self-esteem. What many people don’t realize is that professional whitening solutions carry ingredients that don’t just whiten teeth, but also protect oral health. Take hydrogen peroxide and carbamide peroxide for example, two ingredients commonly used in professional whitening treatments. Both of these ingredients are known for being antiseptics that carry antibacterial properties. Other research has shown that carbamide peroxide increases the pH balance of saliva and plaque, therefore reducing your overall cavity risk. This ingredient also carries a bubbling mechanism that breaks down plaque on teeth, disrupting cavity production and gum disease progression further. So why wait to get teeth whitening treatment from a cosmetic dentist in Parsippany when there are so many benefits to gain? Schedule an appointment today to get started! 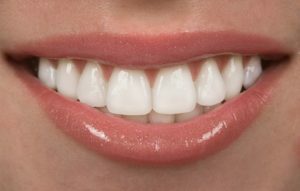 Dr. Alan Rauchberg is an expert when it comes to teeth whitening systems. His office offers both in-house and at-home teeth whitening solutions to help you keep your smile looking as beautiful as possible. To learn more about his practice or find out which treatment is best for you, contact him through his website today!